Hewlett-Packard has filed paperwork to register HP Enterprise as an independent company, an official step on the path to splitting itself in two. The paperwork, called a Form 10, was filed with the U.S. Securities and Exchange Commission Tuesday and provides a look at how the divisions that will make up HP Enterprise performed financially over the past few years. It shows a business that made a profit of $1.6 billion last year on revenue of $55.1 billion, down from a profit of $2.1 billion on revenue of $57.4 billion in 2013. The way the separation is being structured, HP Enterprise is the “spin-off” company, which is why it has to file the registration papers. The other half, HP Inc., doesn’t have to file the paperwork, so we won’t get to see its finances until after the break-up. But the two companies will be about the same size. HP said last October that it plans to break itself in two. HP Enterprise will sell its servers, storage, network gear and enterprise services. HP Inc. will sell its PCs and printers. 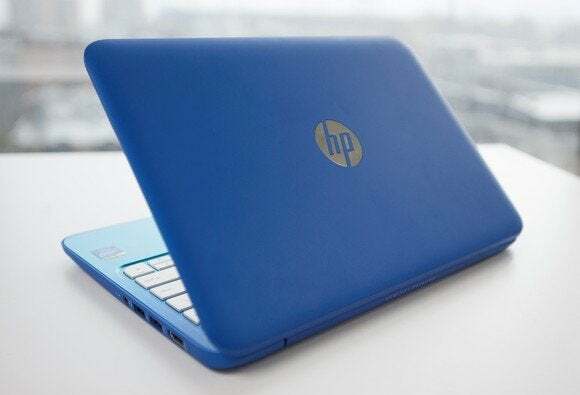 HP said Wednesday it remains on track to complete the breakup by the start of its next fiscal year, which begins Nov. 1. HP Enterprise will apply to list its shares on the New York Stock Exchange under the symbol HPE, it said. The 76-year-old-company has been fighting for years to reverse declining sales, having failed to capitalize on the market shifts from PCs to smartphones and tablets, and from on-premises data center equipment to cloud services. It will also cost the company, however. HP executives have talked of the “dis-synergies” of running two separate companies, or the increased costs that result from having, for example, two human resources departments, two CFOs, and two headquarters. Those dis-synergies will total $400 million to $450 million annually, to be split equally between the two companies, HP has said.